After UAE stopped relying on the oil and gas sector, tourism has been an important pillar of economic growth and success. 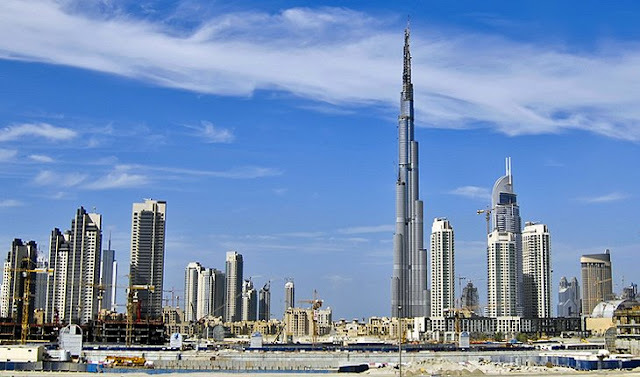 Due to the enormous infrastructure development, geographic location and global connectivity, Dubai receives millions of tourists every year. As the Expo 2020 is fast approaching, several tourism projects are estimated to be completed soon. Dubai has been breaking world records in terms of infrastructure development. Soon, the city is going to break another record of the biggest Ferris wheel in the world. The construction of the Dubai Eye (Ain Dubai) is taking shape on Bluewaters Island. It will be one of the most thrilling and adventurous rides for tourist to get a unique view of the city. You can also check Bluewaters Residences for sale. Currently, the Dubai Mall is the biggest shopping complex in the world. However, the city will soon have the biggest and grandest mall, the Meydan One Mall at Meydan One MBR City Dubai. It will feature a multi-purpose sports facility, the biggest dancing fountain, the longest ski slope and more. The Meydan Mall will be an integrated destination that will redefine the shopping experience by employing cutting-edge technologies. Dubai Creek is a natural harbour that has been a keystone of Dubai’s heritage. It is believed that the expansion of the city started at this point. Emaar is preserving the cultural and environmental aspect of the site by developing the Emaar Dubai Creek Harbour. It is located close to the Ras Al Khor wildlife sanctuary which is home to plenty of native flora and fauna. The developer is aiming at creating a decent urban living complimented with sustainable biodiversity. The Dubai Estate Mall will be an addition to the many unique shopping malls in the city. It is developed by Emaar Malls which is a subsidiary of Emaar Properties, one of the biggest developers in Dubai. The mall is located at the intersection between Al Khail and Umm Suqeim Roads. This means that visitors would be able to access other parts of the city quite easily. Once completed, the Nakheel Mall will be the new centrepiece of the famous Palm Jumeirah. This will be one of the most premium shopping, dining and entertainment destinations in The Palm. The 25-metre high crystal dome will be a prominent feature which will also host the monorail station.